Just like cars have a standard model, disability insurance has a base policy. Just like cars have options that can be added to the standard model, so does disability insurance. Optional “add-ons” to the base policy of disability insurance are called disability insurance riders. Riders allow consumers to individualize—to add optional features—to their base policy, which address their specific income protection needs. It is important to note that unlike standard car models that are normally consistent across dealerships, the coverage included in base disability policies, differ from provider to provider. That being said, when we discuss popular disability insurance riders, we are assuming that these riders are not considered part of the base policy by most providers. the following disability insurance riders are among the most popular: Residual Disability Benefit, Cost of Living Adjustment (COLA), Future Increase Option (FIO), Automatic Benefit Enhancement (ABE), and “Own Occupation” Total Disability. In order to receive base disability benefits, the policyholder has to demonstrate the inability to work. The benefit may be suspended once work is resumed. A residual benefit allows the policyholder to receive some of the disability benefit once work resumes, even part-time work. Residual benefits apply to temporary disabilities. Inflation erodes buying power. This problem is even greater for people with disabilities because they cannot increase their income to compensate. A disability insurance solution to this problem of inflation lies in COLAs. A COLA rider adjusts the amount of monthly disability benefits received by the insured each year during their disability. The adjustment that is made in the monthly benefit depends upon the way the rider is designed. As your career progresses, your income is most likely going to increase with your experience. Disability insurance replaces a percentage of your current income if you become sick or injured, but what about your future income? That’s where a future purchase option rider is helpful. It allows the insured to increase disability income protection without the normally required medical exam to show medical insurability. This is one of the most convenient disability insurance riders. It helps keep your disability insurance benefit aligned with standard annual income increases, which one might experience when healthy. It is applied to eligible policies and provides an annual benefit increase each year for five to six years. Your premium will also increase each year as a result of the increased benefit. Annual benefit enhancements occur automatically, but you can easily opt-out in any year. Own occupation disability insurance riders mean that a disability is determined by your inability to perform the duties of your specific occupation or profession. 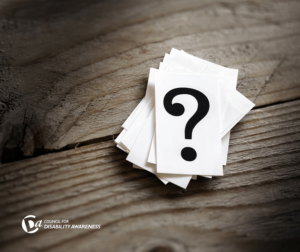 By contrast, “any occupation” disability coverage does not consider you disabled if you are capable of performing the duties of any occupation for which you are reasonably suited. In other words, if you purchase “any occupation” coverage, you may not receive any cash benefits from another occupation even though you can perform the duties of another job, but cannot physically tolerate the rigors of your specific occupation, e.g. doctor, lawyer, teacher. These are some of the more common disability insurance riders. Different insurance providers offer variations of the above riders and have different ways to apply them. Many are available only at the policy’s initial issuance, others may be added on later. Make sure to do your homework, read the small print, and ask numerous questions to your insurance provider.